The history of the Prussian and German state through 1945 is one in which war is the main outcome of national policy. It was the country's principal export over two centuries. The operational excellence of the German and Prussian general staffs is the stuff of hundreds of excellent military histories. But this brilliant style of war masked an inability to see national war as the last resort. Frederick the Great began the Seven Years War by marching into Saxony. Wilhelm II sent his corps into Belgium and Russia in hopes of maintaining German industrial and social prosperity. Hitler repeatedly used the army as the crutch for mounting the steps in his climb to global power. Each ended in disaster. The German state never existed as anything other than a militaristic enterprise, which led to its own devastation in 1945. In April 1941, Germany was master of Europe. She faced only an isolated and nearly helpless Great Britain. 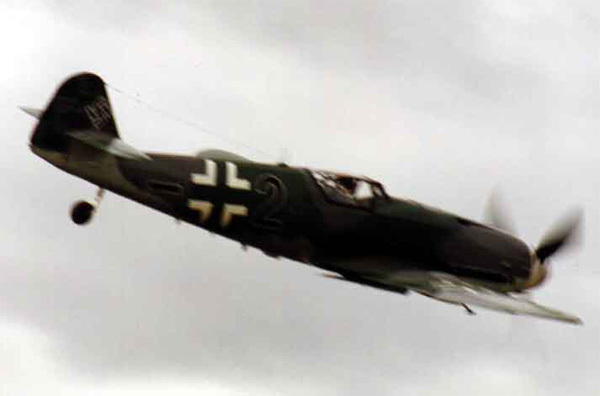 Hitler had brilliantly employed both war and the threat of war to reach this height. Once he brought Britain to the peace table, created a permanent defensible barrier in the east, and settled the grand matter of Bolshevism, Germany would permanently dominate Europe. That war would come in the east was never a question for Hitler or his generals. He had been calling for it from his earliest preaching. Less than a month after France formally surrendered to Germany, and with the preparations for an invasion of Britain underway, Hitler ordered the drawing-up of plans for an invasion of Russia in the spring of 1941. 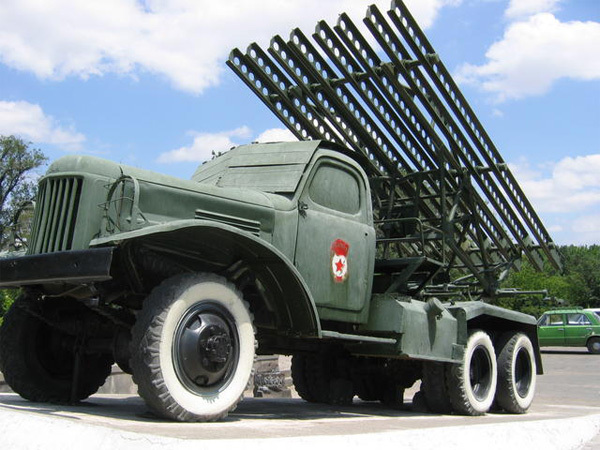 The Soviet Union, too, was manically preparing for war, expanding the Red Army and producing innovative weapons like the T-34 tank and the Katyusha rocket-launcher. But Stalin did not want it to come for years. To keep the 1939 Hitler-Stalin pact in place, he was fully prepared to make huge concessions in 1941. 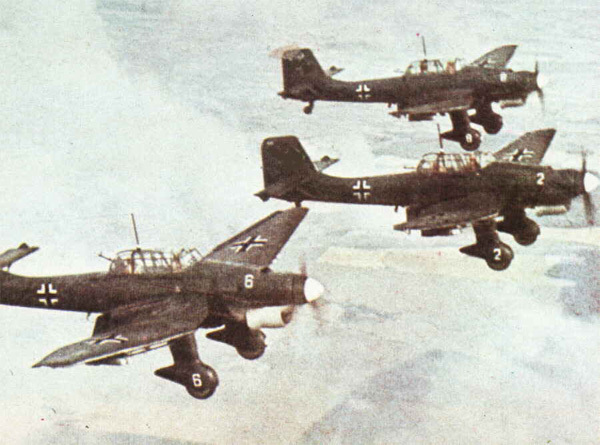 The German invasion of the Soviet Union began on June 22, 1941. It involved three million men: 152 divisions in three army groups, 3,350 tanks, 2,000 airplanes, 7,000 pieces of artillery, 600,000 motorized vehicles, and 625,000 horses. The initial efforts matched such numbers. In three weeks, Army Group Centre advanced 400 miles and captured the whole of Belorussia. 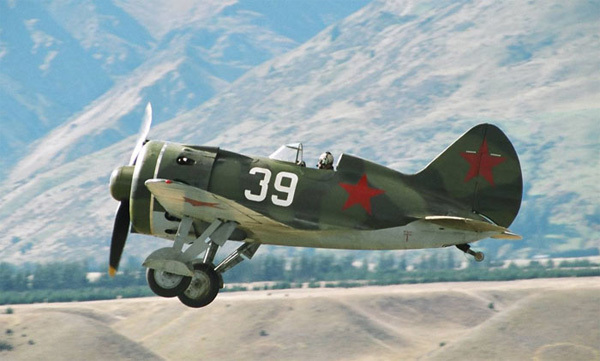 Russian armies lost nearly 5,000 tanks, nearly 10,000 artillery pieces, and 1,700 planes. Eleven days after the invasion began, the army chief of staff, Franz Halder, made a famous entry in his diary: "I am therefore not exaggerating when I say that the campaign against Russia was won in 14 days." If Barbarossa had been a war game, all would have been over. Yet the Russians didn't play by quite the same rules. On August 11, Halder would write: "Overall, it is clearer and clearer that we have underestimated the Russian colossus, which had prepared itself for war with an utter lack of restraint which is characteristic of the totalitarian state." The Barbarossa plan supposed that, if the army groups won big battles and the SS killed the intelligentsia in large numbers, the state would collapse. The problem of enemy capitulation as a strategy is that it requires not the killing of large numbers of your opponent's armies but the desertion of your opponent's soldiers. Hitler and his generals were relying on the Russians' welcoming them as liberators. They believed in this so implicitly that they never bothered to gather the operational intelligence to discern if it was true. The Germans also made little attempt to win the hearts and minds of the Russians, diverting all resources in the captured territories back to Germany, executing hundreds of thousands, and leaving the rest to starve. This lack of a coherent strategic plan cannot simply be blamed on Hitler, as Germany's surviving generals were keen to do after the war. 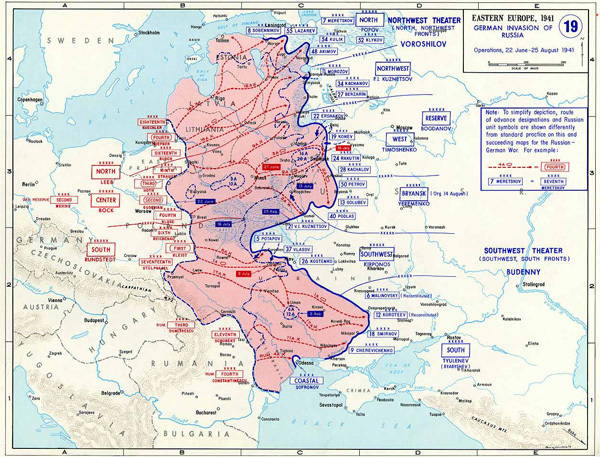 The Barbarossa plan, developed by the General Staff, called for a lightning three-month campaign that reached a line stretching from Rostov, along the Volga, to Archangel. There were no terms under which such a campaign was physically possible for an army that employed 3,350 tanks but 600,000 horses. Barbarossa exposed the problem. The Russians kept fighting, and the Germans kept getting further down the logistical road. By August, the German advance had slowed from 20 miles a day to 5. It was obvious that the campaign could not continue on three fronts. A pause was viewed as necessary to reconstitute the divisions battered by the fighting and for the supply lines to catch up. There is no evidence that the capture of Moscow would have led to Soviet defeat. 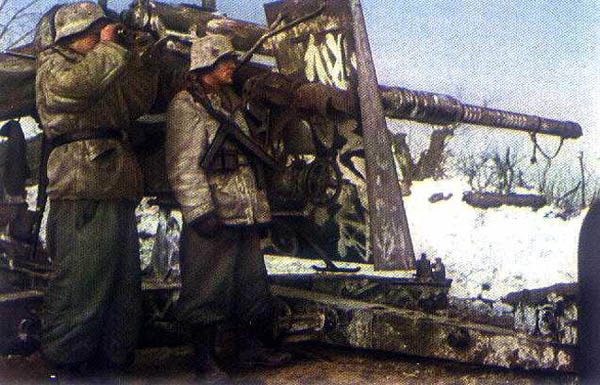 Considering the battering German troops had taken in five months of fighting, and the weakness of supply lines, it is just as likely the Battle of Moscow would have been the 1941 version of the Battle of Stalingrad. When Dwight D. Eisenhower was touring Germany as the first head of NATO in 1951, he issued a statement drawing a line between the German army and Hitler: "I have come to know that there is a real difference between the regular German soldier and officer and Hitler and his criminal group. For my part, I do not believe that the German soldier as such has lost his honor." 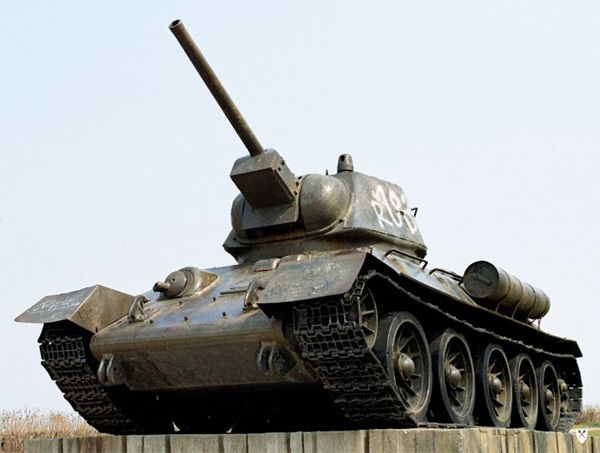 Moscow was a place the Red Army was prepared to defend in force. Nearly two million German soldiers were mustered with 14,000 guns and a thousand tanks. The panzers went on the attack on September 30 and the main assault began on November 2. What followed was another pair of textbook-perfect battles of encirclement. The route to Moscow was open and the Soviet leadership was struggling to find troops to defend it. But the Germans were struggling, too. By mid-November, the Germans were only 40 miles from Moscow, but they were scarcely advancing thanks to stubborn Soviet resistance and the exhaustion of their ill-supplied troops. The Napoleonic resonance of being caught deep in Russia with winter coming on wasn't lost on Germany's highly intellectualized students of war. Moscow is one of the defining battles of World War II, the first legitimate defeat dealt to the German army. Nagorski and Braithwaite are both popularizers, part of the torrent of publishing on the war in the east which has followed the opening of Soviet and East German archives. Absolute War is a lively and resoundingly clear account of how the war was planned and managed: "Stalingrad was not the turning point because once the United States became involved, Germany had no chance of winning, anyway. ... However, from December 1941, while it had gained a breathing space, Russia could still lose ... After the catastrophic defeat at Stalingrad, with German forces and those of their allies stretched to the limit, there was no hope of a German victory in the east." What comes through on every page of Absolute War is the utter inhumanity of the German-Soviet war. The Germans began in barbarism and the Russians replied in kind. The numbers are difficult to digest. The German army left 4 million men on the battlefields of Eastern Europe, but they killed 27 million. The Red Army lost 11.5 million soldiers, and 15.5 million civilians died in the territories occupied by the German army. In his November 6, 1941, speech marking the anniversary of the Russian Revolution, Stalin vowed that the Soviet Union would give back in kind: "The German invaders want a war of extermination against the peoples of the USSR. Well, if they want a war of extermination, they shall have it." Moscow was still under threat as he spoke, but Stalin's vow would be fulfilled. 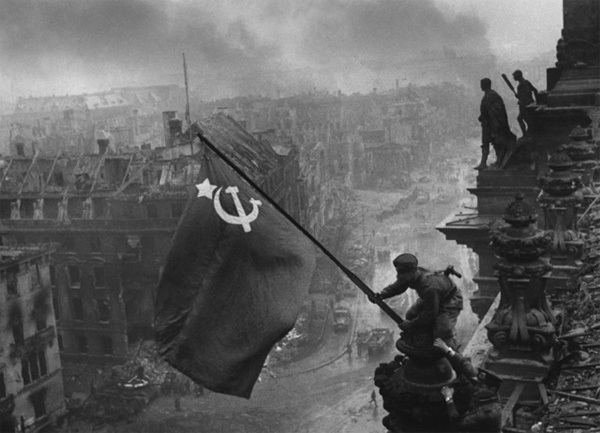 In four years of terrible slaughter, the Red Army did not just defeat Hitler and National Socialism, but also put an end to Prussian militarism. It was a Soviet victory over something that had menaced Europe for two centuries. AR Ghastly story. Glad I wasn't there.